On January 4, 2017 at 6:55 a.m., Galloway Township Police responded to a motor vehicle collision involving a pedestrian at Jimmie Leeds Road and Ash Avenue. According to Police, a female pedestrian identified as Dorcas Frimpong, 52 of Atlantic City was attempting to cross the westbound lane of Jimmie Leeds Road when she was struck by a 2006 White Dodge Durango driven by Zeika Gomez, 39 of Galloway. 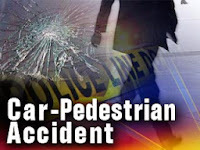 Police stated the impact forced the pedestrian into the eastbound lane of Jimmie Leeds Road where she may have been struck by an unidentified dark colored pick-up truck, according to surveillance video, traveling east on Jimmie Leeds Road. The unidentified pick-up truck continued east and did not stop at the scene. 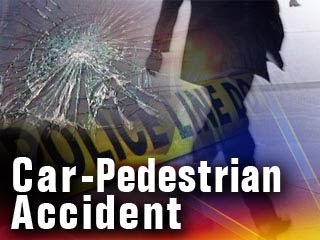 According to Police, the pedestrian did die as a result of the collision. Atlantic County Prosecutors Office, Atlanticare Medics and Galloway EMS assisted in the accident. Anyone with additional information regarding this motor vehicle collision is asked to contact Ofc. Neal at (609)652-3705 ext 071 or Ofc. Smith at (609)652-3705 ext 079.